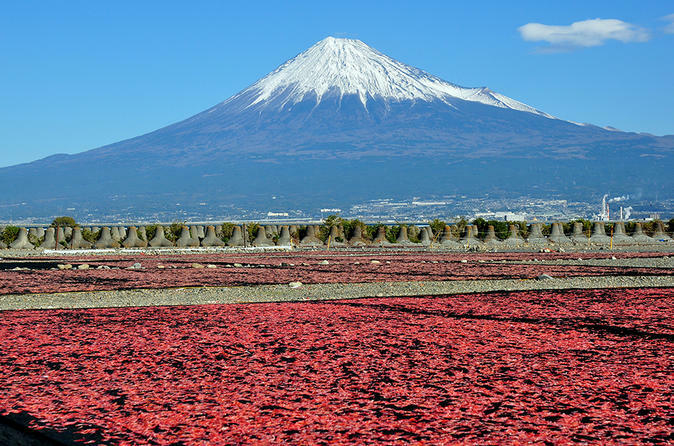 Get out of Tokyo with a one-day excursion to Mt.Fuji and Lake Kawaguchi, the most popular destination of Japan, with private vehicle. Its symbolic beauty attracts all the tourists from around the world! Tour route is flexible and can be arranged upon your request. Mt. Fuji (Fujisan) is with 3776 meters Japan's highest mountain. It is not surprising that the nearly perfectly shaped volcano has been worshipped as a sacred mountain and experienced big popularity among artists and common people. *Please note Mt.Fuji doesn't have snow on the top in summer season. At 2300 meters above sea level, Fuji 5th Station offers a great view when the weather condition is fine. An observation point with unobstructed views of Fujiyoshida City and Lake Yamanaka can be found at Komitake Shrine, which is located behind the souvenir shops and restaurants. *Please note Mt. Fuji 5th Step is closed between November and Early April due to heavy snow. The Kachi Kachi Ropeway ascends 400 meters from the eastern shore of Lake Kawaguchiko to an observation deck near the peak of Mount Tenjo. From the observation deck, which sits more than 1000 meters above sea level, there are panoramic views of the lake below and of Mt.Fuji.